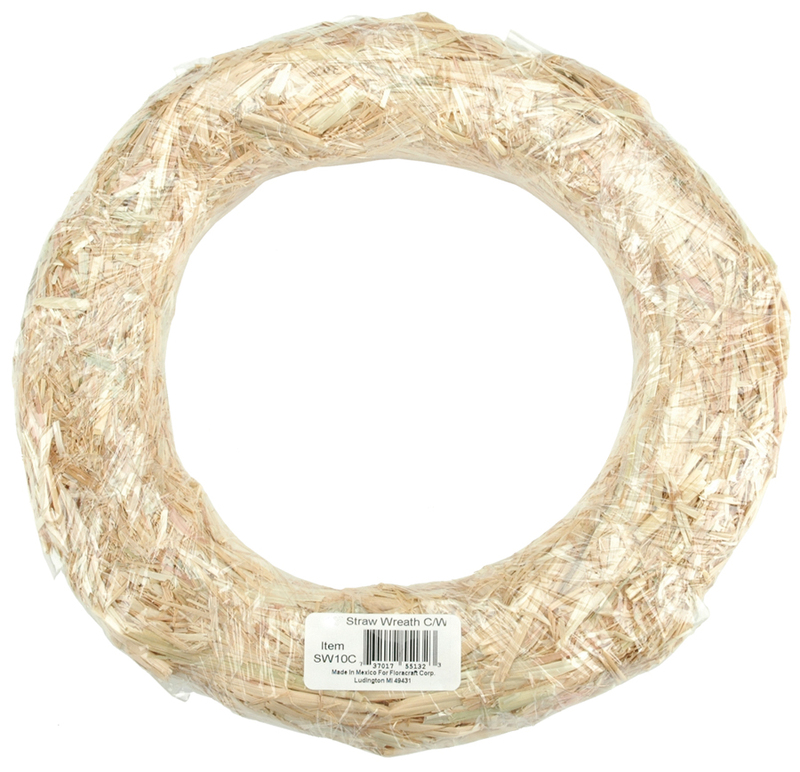 FLORACRAFT-Straw Wreath. With its rich golden color, Straw adds a special earthy accent as a base for a floral design, centerpiece, or home decor piece. This straw is particularly brilliant, naturally bleached in the warm Mexican sun for decorator appeal. It looks superior, is firmer and stays together which means less shedding. Size: 8 round. 1 per package.